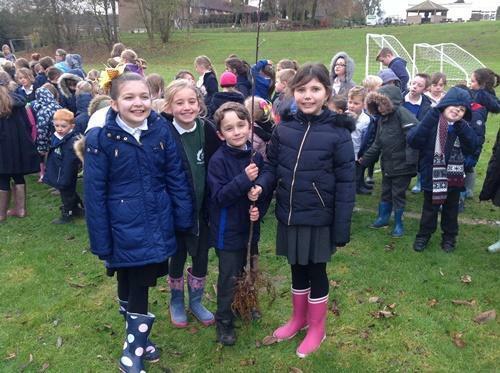 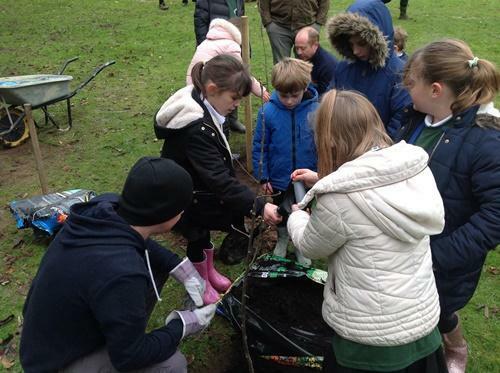 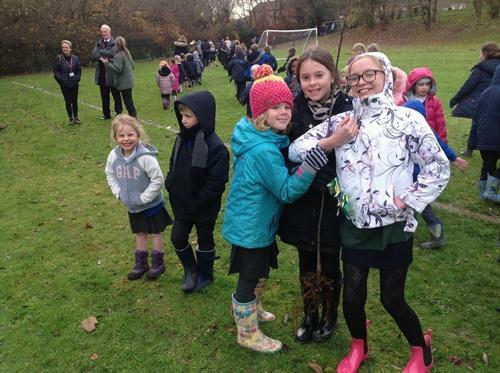 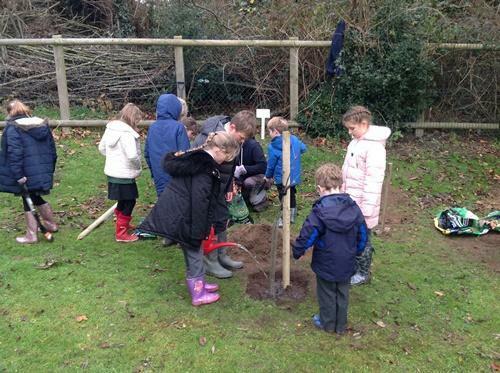 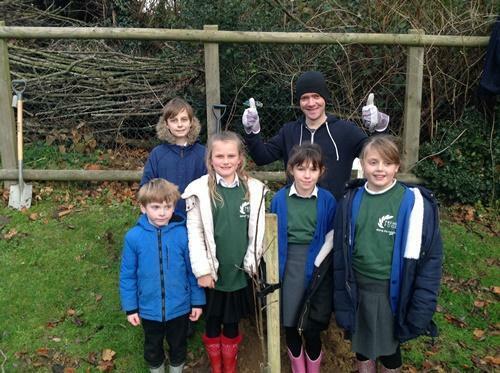 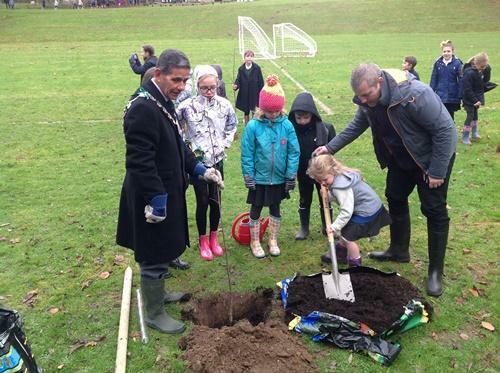 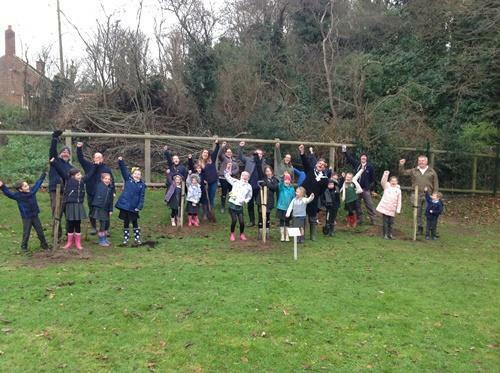 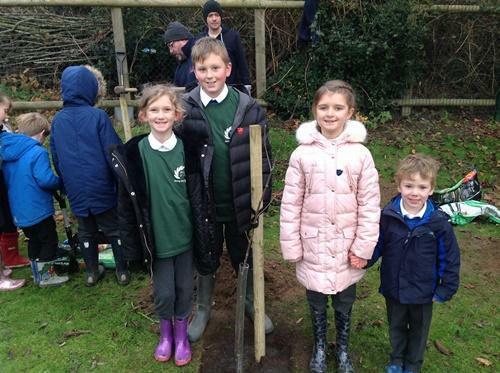 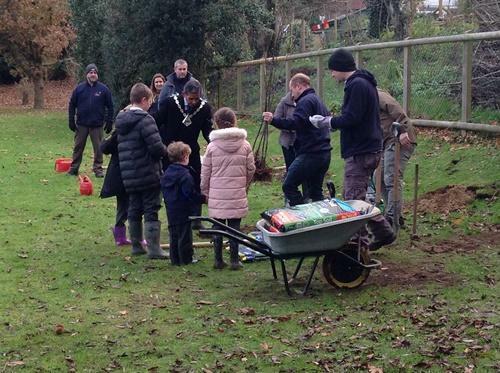 "the children are a credit to the school with their exemplary behaviour"
It was an amazing afternoon for our School Council and Eco Club who planted 5 trees which were donated by the Woodland Trust to celebrate the 60th Anniversary of Premier Foods. 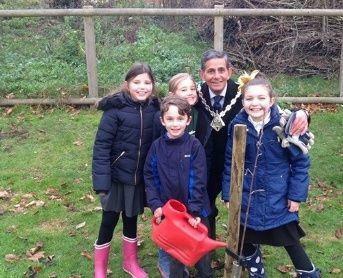 The Mayor attended this event and it was wonderful to see our school choir sing to our visitors too. 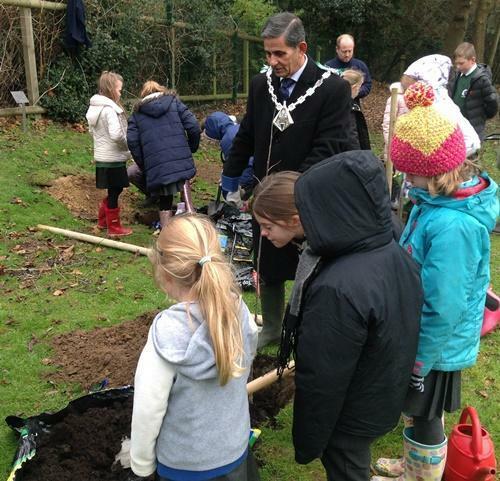 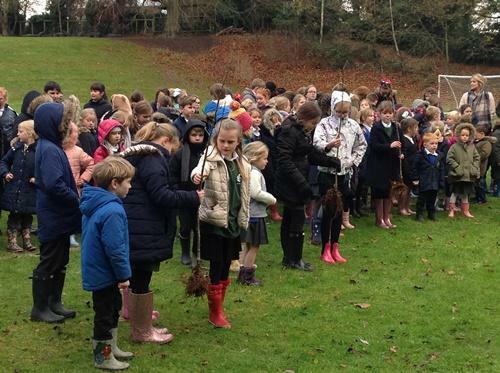 The Mayor said in his email after the event "the children are a credit to the school with their exemplary behaviour." 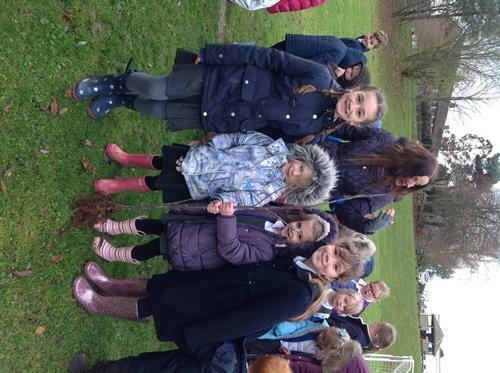 Thank you to Mrs Quinn who made the Christmas table decorations with our Eco Club for our visitors.